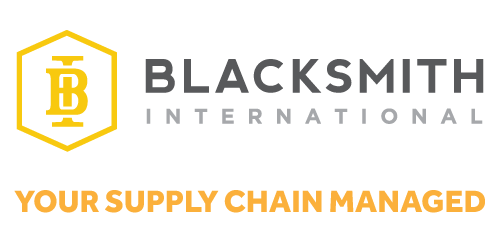 How Is Blacksmith International Different From Other Sourcing Companies? We provide a domestic relationship to meet your international sourcing needs. We have a top notch QC team that will insure you receive your products as you have requested. We are different in our approach and culture – we treat our clients projects as our own and we care. What’s the Difference Between Blacksmith International and Alibaba? We provide quality control every step of the way. Not only do we provide the liaison between you and the factories globally, but we support you here on the ground making sure your product is ready for retail (Design & Safety Design/ NPD/ Patents). We ensure that every factory we work with has a complete audit and meets safe working conditions. No kiddos working on your product. Our clients range from small startups to Fortune 500s. The services we offer are valuable for every size of business. Check out our case studies to see how we’re helping companies just like yours. Blacksmith International is growing rapidly so our client base is ever changing. Sourcing is a seasonal industry with peaks often hitting around the holidays. Throughout the year we will range from 20 to 100 projects at any given time. Before beginning any project, we want to make sure we know as much about it and your company as possible. We will have you fill out a quick New Client Intake Form. From there, we can determine your needs and the right scope of work for you. How Do I Create a Tech Pack? We have many resources we can help you in creating a comprehensive technical packet for factories to understand. Even if you decide not to use our services, the tech pack belongs to you which gets you that much closer to making your products a reality. Can You Help Me With Product Development? Yes! We have engineers, designers and people dedicated to ensuring you are getting what you need. How Long Does the Process Take From Requesting a Sample to Receiving a Product? This depends on the project and how complex it is and shipping requirements. Typically with a client that has a few working samples, tech packs/ CAD files, and material requirements, we try to have products landed in about 90-120 days. How Do You Help Me Protect My Product From Copycats/Pirates? Our first line of defense is making sure that factories adhere to a strict NNN (non-disclosure, non-use, non-circumvention) agreement. This contract goes through our Chinese Legal team before we send anything to factories. Our second line of defense is that we are the exporter of record. We protect all of our clients by making sure no one can find your factory. We help you to set IP and Trademark protection in the country of manufacturing to protect you from unauthorized factories counterfeits. Your production time will vary with the size of your order and complexity of your product. Sourcing materials can be a time-intensive process. We will only seek and produce products with the finest materials. Average production time is estimated anywhere from 40 to 100 days. How Do I Stay Involved In the Process From Start to Finish? You may want to submit a PO and let us do all the work. If that’s the case, we will send you updates at each milestone. On the other hand, you might want to be immersed throughout the entire project. That’s not a problem, we are here to provide you with the updates and feedback you need to feel comfortable during your production. How Will the Quality Be Checked? Unlike similar companies, we have boots on the ground in China. Our team is based just outside of Shanghai in the industrial knitting zone of Haining. They come highly qualified with master’s degrees and years of experience. Their sole purpose is to verify the quality of your products before they cross the ocean. What Happens If My Product Fails QC? If your product fails QC, it will be reworked and re-inspected, which usually takes about a week. What Happens If I Receive Defective Goods or Poor-Quality? We encourage you to conduct your own quality check upon receiving your goods. If you happen to find an error or you aren’t satisfied with your order, let us know and we will coordinate with our suppliers to fix the issue. What is a Normal Defective Rate? Defective rate is almost never zero. Blacksmith helps to reduce your defective rate with our goal always being less than 2%. Do You Help Me With Sales? We do not sell products for our clients, but we are happy to connect you with the right people to help you with sales and marketing. Who is Making My Product? We ensure that the factories we work with adhere to strict safe working conditions and are paid a fair wage. Do I Have to Stick With Using Only One Factory/Supplier? No, when we first quote with factories, we quote with few different factories to ensure we are getting a fair price. Yes. Costs will depend on how fast you would like your product delivered. We ensure you receive your products in a timely manner via freight shipments sent by air or by boat. Most often we suggest shipping via boat to keep your costs down. Depending on how soon you would like product, we can be between 10-30 days onces the product arrives at the port. Weight and volume are always the biggest determinant of your shipping costs, however be aware of the following that can affect your costs: Freight to port charges (from factory to the port), port to port (air or sea), local delivery, duties, fees to file with customs, insurance (usually only $35), residential delivery vs warehouse delivery, holiday rates and/or rush shipping. We will provide you with a cost estimate of your order. Prior to beginning production, a 50% deposit is required. We will keep this deposit as a credit on your account. As soon as your order is ready to leave the production facility, we will apply the credit and collect the remaining balance. We accept checks, bank wires and transfers through PayPal. We negotiate pricing with our suppliers to insure you are receiving the best quality at the lowest cost. For our efforts, we charge a small percentage of your order total which is included with the cost of goods on your invoice.